Since the success of the Tour de France in the area, road cycling around Ingleton is becoming increasingly popular due to its terrific routes and truly stunning scenery. Ingleton lies on Sustrans Route 68 of the Pennine Cycle way with a number of routes criss crossing it’s path. 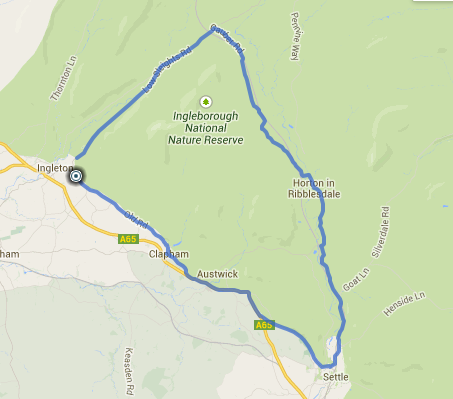 This is a fabulous 27 mile route from Ingleton, through to Settle, up to Ribblehead and back again. It is hilly in places but well worth the effort! For other local routes please see Ingleton Wheelers where local cyclists share their local routes. Alternatively call in Escape Bike Shop and pick their brains. Local cycle maps are also available from the Tourist Information Centre.